October 2 is the date for the premier. 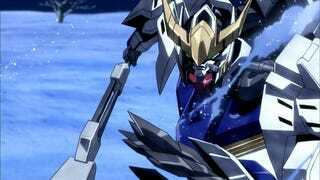 Gundam.info webpage has uploaded a new trailer for the second season of Gundam: Iron-Blooded Orphans, which is quite spoiler heavy regarding the 1 season events, so watch with caution. At the same time GRANDRODEO will perform the ending song, and they have released a teaser of it.